What if you could enjoy a single glass of wine by pulling the liquid through the glass bottle and not even disturbing the cork? That would be like opening a fresh bottle of wine for every glass – at least for as long as the bottle lasted. Well, this is similar to the promise that Kuvée has made, claiming that they have designed “a refillable case that keeps wine fresh for up to 30 days.” And they say ‘case’ for a very good reason – because it is not made of glass, but rather a touchscreen. 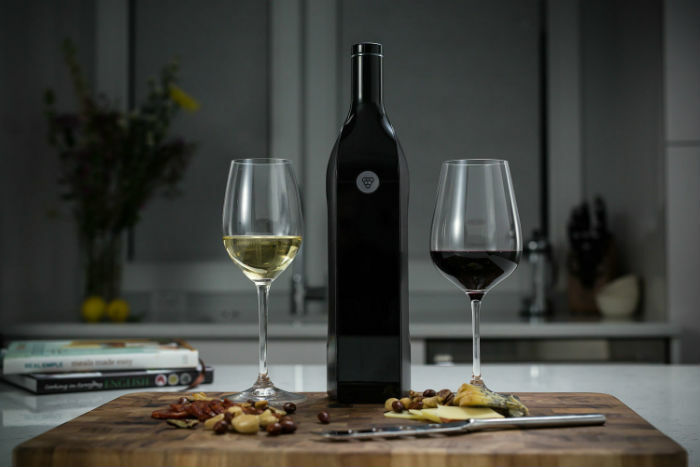 Similar to the way that Keurig has revolutionized the art of making a single cup of coffee… Kuvée is attempting to revolutionize the way we purchase and enjoy a single glass of wine. The delivery bottle is fitted with WiFi and a touchscreen label that provides information about the wine. It tells you how much wine is left in the ‘case,’ and also offers the option to research the wine further or order more. The wine delivery system is just the technology part, as the actual wine ‘case’ is what prevents air from getting at the wine. This allows you to sample as many wines as you desire… without ever dealing with a single cork. This is how Kuvée can promise that every glass of their wine should taste as good as the first (for up to 30 days). And this is the part where you become completely intrigued and ask to know more… and to that we say, check them out for yourself here.